Every four years, there’s a presidential election. 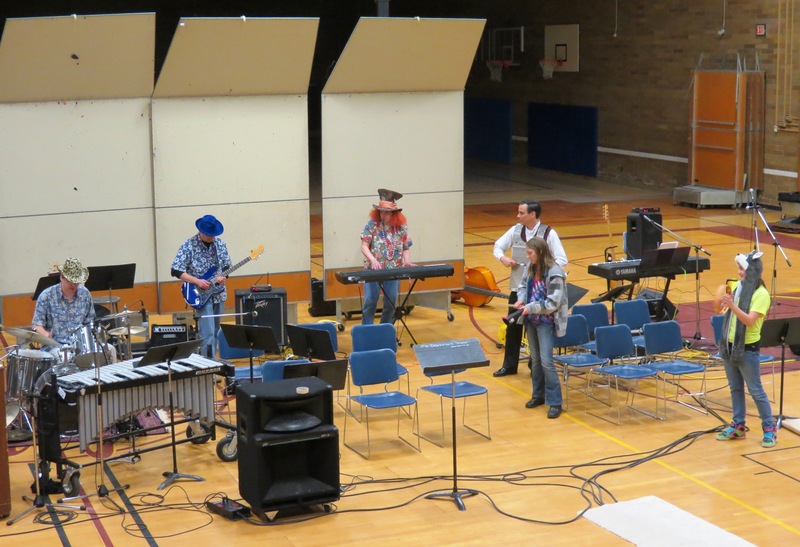 Every four years, there is a Community Band Concert at Kamiakin Jr. High in Kirkland. Ward Brannman, Director of Bands, says he started these special concerts in 1986, as a means of involving his band students with musicians in their own families, school alumni, and the local community. The concert opened with The Washover Fans, a folk music quartet, and closed with Curb Appeal, a 6-member rock and roll band. Kamiakin’s speech pathologist, plays in the former, and Kamiakin’s registrar, plays and sings in the latter. 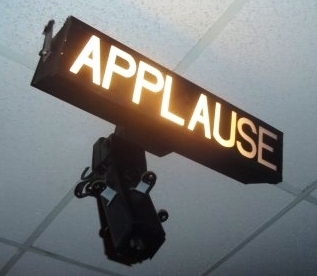 See www.thewashoverfans.com and www.wearecurbappeal.com. 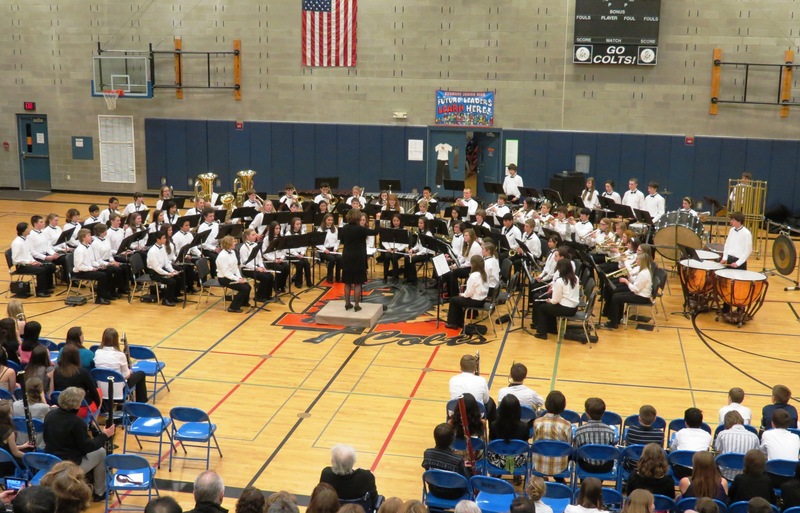 The school’s Jazz Ensemble and three bands performed: Concert Band (7th grade), Symphonic Band (8th grade), and Wind Ensemble (9th grade). In between their performances, four other groups played and sang, including the Zydeco Trio (“It’s So Hard to Stop”) and Brass Trio (“The Victors”). Two audience members join Zydeco Trio and Ward Brannman in playing "It's So Hard to Stop"
Trumpeters were featured in the Jazz Ensemble (“Take Me Out to the Ball Game”), Symphonic Band (“Overture on a Shaker Tune”), and Brass Trio (two trumpets, one trombone). Mr. Brannman said the Zydeco Trio and Brass Trio epitomize the purpose of this concert. Two members of the Zydeco Trio are fathers of band members. 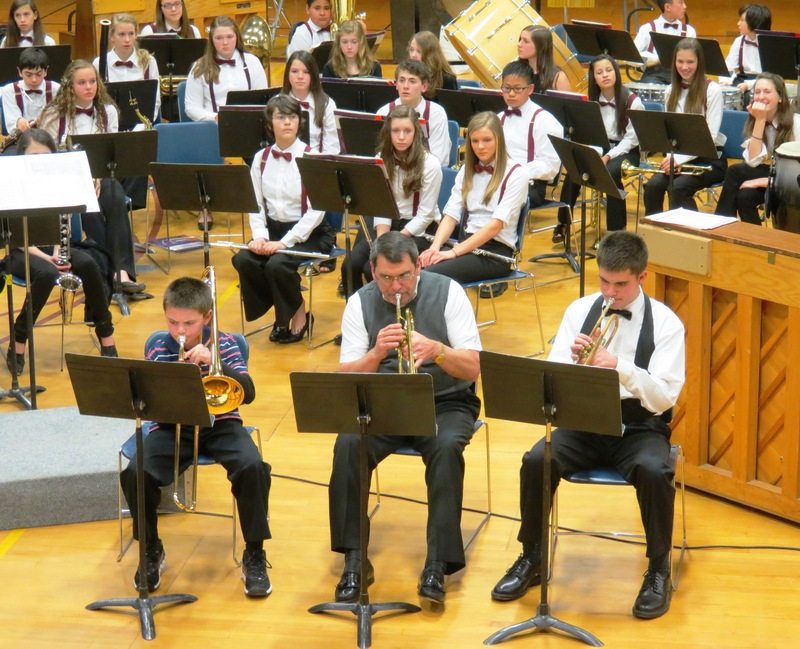 One trumpeter in the Brass Trio plays in the Wind Ensemble, and his younger brother, the trombonist, plays in the Beginning Band. The second trumpeter is their grandfather! One of my trumpet students was the featured soloist in the Shaker tune overture! She is the principal of the trumpet section, and Mr. Brannman awarded her a Certificate of Achievement for the 3rd quarter of this school year (see photos). 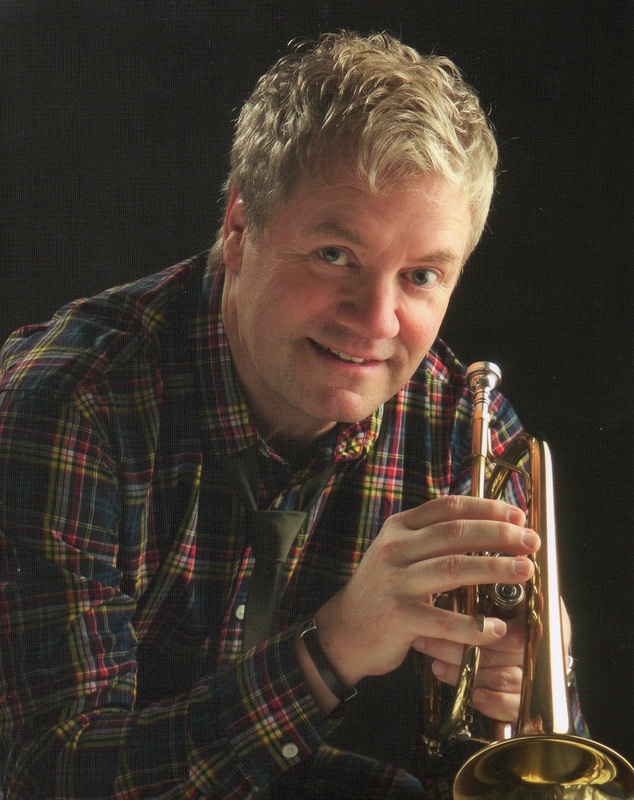 Incidentally, he also received an award this year: he was named Middle School/Junior High Music Educator of the Year by the Washington Music Educators Association (WMEA) at its annual state conference in February. Seth Kuhns, Kamiakin alum, attended the concert to hear the premier performance of his composition, “Like Yesterday,” by the Wind Ensemble. It was commissioned by last year’s Wind Ensemble. Almost 200 students comprise the three bands and seven ensembles which performed under the leadership of Debbie Montague, Ph.D., Director of Instrumental Music. Her command and control were flawless, and the music she selected was challenging and entertaining. She attracts and produces high-achievers. 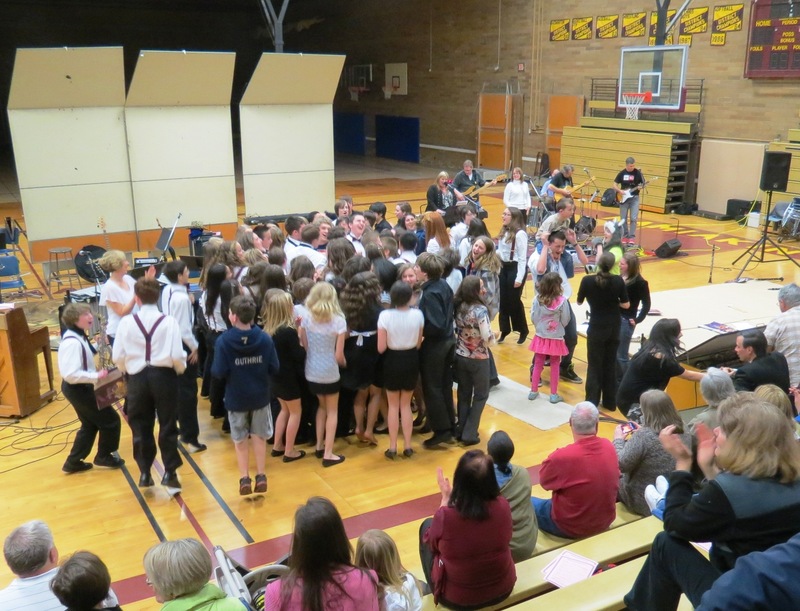 Consistently, many of her students are winners in various band and ensemble competitions. She says that in band, they learn not only music but also concentration and responsibility. Those are great character traits to carry with them into Inglemoor High School and beyond. The Symphonic Band supplied the peak performance of the evening, playing Triumphant Fanfare by Richard Saucedo; On a Hymnsong of Philip Bliss by David R. Holsinger; and Earthdance by Michael Sweeney. 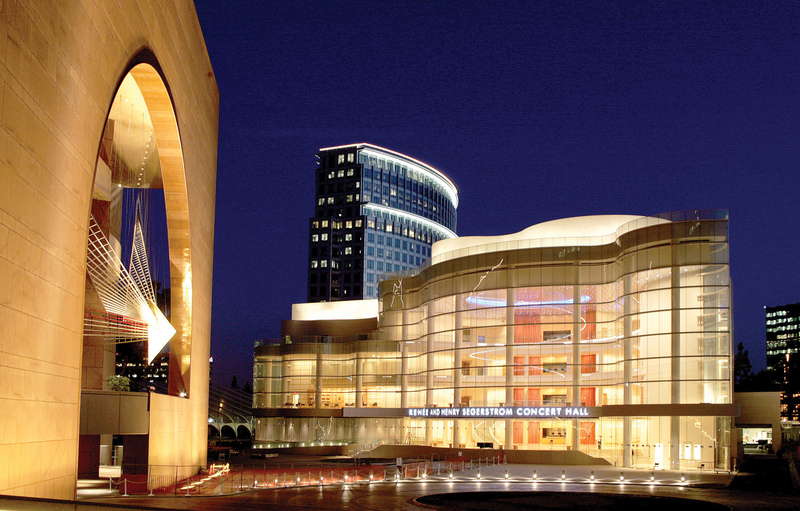 The Symphonic Band is participating in the prestigious Festival of Gold at Segerstrom Center for the Arts in Orange County, Los Angeles, CA, 30 March-3 April. This festival combines with the Festival at Carnegie Hall to create the Elite Performance Series. Only ensembles that have received a Gold rating at a WorldStrides Heritage music festival or regional festival are accepted into Festival of Gold. The Honor Concert culminates the festival weekend and features the highest scoring ensembles of the festival. As part of the remodeling project now underway at Kenmore Jr. High, a new band room is being readied for use late this school year. It will include a built-in recording system to record the bands and various music groups. Bassoon Quintet from the Symphonic Band, playing “Liberty Bell.” Mona Butler, Coach, substitutes for an ensemble member who was sick.